With our equipment, every machine is unique. Not only do we have variety, but we have the ability to tailor each machine to your exact specifications. So if you need something special LMC is the place where your vision can become a reality. We have engineers who work on state-of-the-art computer systems to ensure each machine is made with the highest standards. Look through the list of the equipment we offer below to see what we can do for you. LMC Aspirators are designed for product separation by density and aerodynamic profile. LMC Cleaners are designed to handle a high production rate with great efficiency and effectiveness. The VistaSort Color Sorter provides superior color selection and meets the most stringent industry requirements. 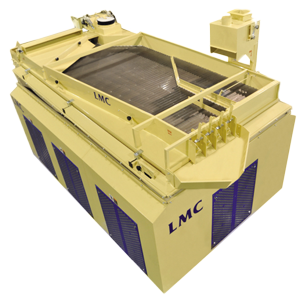 The LMC Conveyors exhibit the versatility and customizable aspects of LMC equipment. Originally called a stoner, this machine was designed to remove stones from food products. The LMC Marc Gravity Separators are the latest LMC gravity series which were originally produced in 1941. 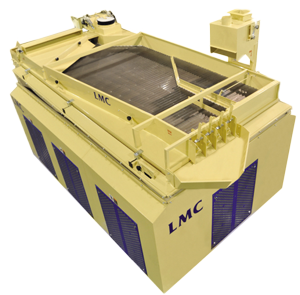 The LMC Hard Shell cracker was developed to condition hard shell almond varieties before shelling. 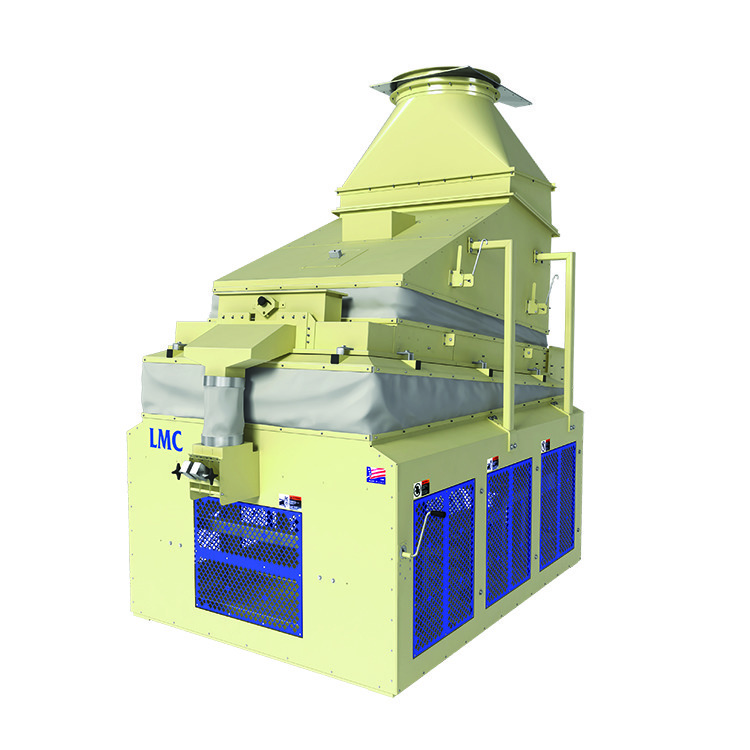 When you have to remove redskins from peanuts, the LMC Blancher system has two separate and distinct machines to help you efficiently do your job. 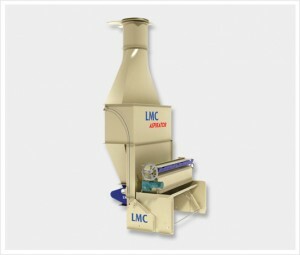 The LMC Shear Roll is primarily used to shell almonds. LMC Sizing Shakers are used to separate dry, flowable products by a specific size. LMC produces a full line of support equipment which enhances our system designs.